A special theme night is a terrific way to spice up your regular menu and bring in new customers. This doesn’t mean you need to host a murder mystery (although those can be fun!) But instead think about the cuisine. You can have “summer night in Tuscany” or “cheese lovers delight” evenings with a special fixed-price menu built around those themes. Just don’t go for the cliché taco Tuesday or meatloaf Mondays. Facebook now officially has 2 billion users. Capturing the interest of just a fraction of that population can make a huge difference to your restaurant. You can set up targeted ads that will feature your establishment to those people within your community. You can promote specials or new dishes. Facebook ads are a great way to build up the brand. You should be building of a database of all of your customers’ emails. The way to get those emails is to offer them something. A monthly newsletter is a good option. 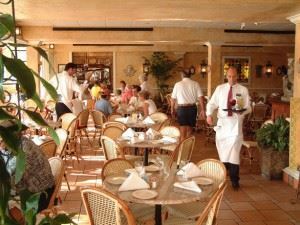 This can include news about the restaurant, staff mentions, exciting menu options and, most importantly, coupons for dining. You would definitely go broke trying to adjust your menu to appease everyone’s tastes. However, there are some items you can include that can appeal to vegetarians and vegans without having to rewrite everything. Experiment with gluten-free and dairy free recipes and you may discover they have just as much appeal to your other customers without restrictions. Adding a few of those types of items on your menu can bring in more business from customers with more diverse tastes. Keeping your restaurant clean should be top of your list, right behind the menu. After all, your customers will know if your establishment is clean long before they get a taste of your delicious food. Part of that cleaning goal should also be keeping the rubbish clear from hallways, storerooms and parking lots. You don’t want anything to look cluttered. Junk King Orlando can be a big help with that. These are the professional junk haulers who will dispatch a team of movers to your restaurant and quickly load up all the old furniture, appliances and other gear you want to get rid of. This entry was posted in Orlando Junk Removal and tagged junk King Orlando, junk removal, restaurant, rubbish on July 26, 2017 by Junk King. Last updated July 26, 2017 .